Presentation by: P. Rechmann, D. Charland, B. Rechmann, C. Le, and J. Featherstone. 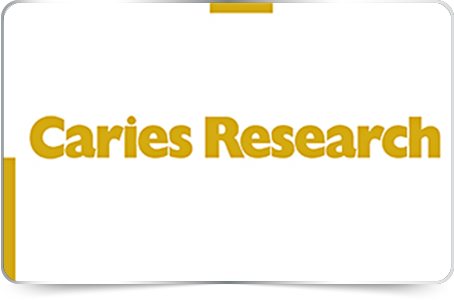 Abstract: High caries prevalence in occlusal pits and fissures warrants novel prevention methods. In-vivo 86% reduction in smooth surface demineralization following short-pulsed 9.6!m CO2-laser irradiation was recently reported (Rechmann et al 2008, 2010). Objectives: To conduct a blinded 12-month pilot clinical trial of occlusal pit and fissure caries inhibition using the same CO2-laser irradiation conditions. Methods: , 20 subjects, average age 14 years (range 12–16), were recruited. At baseline, second molars were randomized into test and control groups, assessed by International Caries Detection & Assessment System (ICDAS-II) and SOPROLIFE Light-Induced Fluorescence Evaluator in daylight and blue-fluorescence mode (SOPROLIFE) (SOPRO-Acteon, La Ciotat, France). 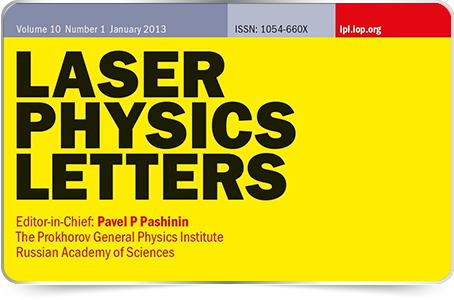 An independent investigator irradiated test molars with a CO2-laser, Pulse System Inc. (Model #LPS-500, Los Alamos, New Mexico), wavelength 9.6μm, pulse duration 20μs, pulse repetition rate 20Hz, beam diameter 800μm, average fluence 4.5±0.5J/cm2, 20 laser pulses per spot, contra-angle handpiece. At 3-, 6- and 12-month recall, teeth were assessed by ICDAS and SOPROLIFE. All subjects received fluoride varnish applications at baseline and 6-month recall. significant differences of average changes (mean±SE) for test -0.55±0.15 and for control molars 0.10±0.16 (P=0.006, Student t-test); for SOPROLIFE daylight at all recalls mean changes were statistically significantly different (P between 0.009 and 0.02). Conclusion: Specific CO2-pulsed-laser irradiation markedly inhibits caries progression in pits and fissures in comparison to fluoride varnish alone over 12 months. SOPROLIFE evaluations confirmed those ICDAS results. Abstract Preservation of pulpal health is the primary prerequisite for successful application of laser systems in the hard tissue management of vital teeth. The purpose of this study was to investigate the short and long-term pulpal effects to cavity preparations in healthy human teeth using carbon dioxide (CO2) laser. A total of seven, healthy, third molars that were scheduled to be removed due to space problems were used. After the laser drilling, the occlusal cavities were closed temporarily, and the teeth were extracted 7 days (n=5) and 3 months (n=2) after the operation. The specimens were fixed, decalcified, subdivided and processed for light and transmission electron microscopy. Seven days postoperatively all the five teeth that had been irradiated with the CO2 laser did not reveal any pathological changes in the pulpo-dentine complex. Three months postoperatively the two teeth that were prepared with the laser showed subtle but distinct apposition of tertiary dentine that was lined with intact odontoblasts. One of the specimens at 3 months revealed the presence of a mild, but very circumscribed, pulpal infiltration of chronic inflammatory cells subjacent to the cavity preparation. 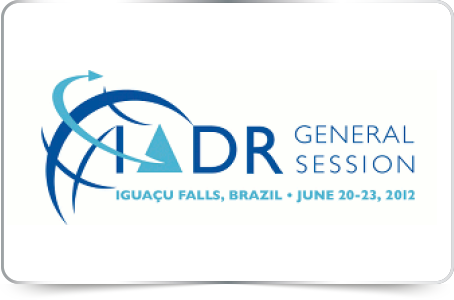 The latter is unlikely to be due to a direct effect of the laser irradiation but a possible consequence of microleakage of oral antigens and/or other tissue-irritating molecules through the temporary restoration and the remaining dentine thickness (RDT). Although these preliminary histological results suggest that the CO2 laser under investigation induced only minimal response of the dentine-pulp complex when used as a hard-tissue drilling tool, with specific energy settings, pulse duration within thermal relaxation time and emitting radiations at 9.6 lm of wavelength, larger clinical trials involving various types of teeth are necessary to reach definite conclusions for large-scale clinical application of the laser device. 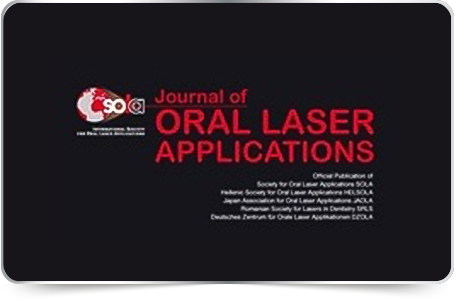 Abstract: Background: The objective was to evaluate the morphology of enamel and dentin irradiated with Er:YAG (2.94 μm) and CO2 (9.6 μm) lasers. Methods: Six groups were evaluated: G1 – CO2 irradiated enamel (3 W); G2 – CO2 irradiated dentin (3 W); G3 – CO2 irradiated enamel (7 W); G4 – CO2 irradiated dentin (7 W); G5 – Er:YAG irradiated enamel (0.16 W); G6 – Er:YAG irradiated dentin (0.16 W). Results: The morphological pattern of Er:YAG laser irradiated enamel and dentin has a rough aspect with a clear exposition of the prisms and dentinal tubules. The melted surfaces covering the CO2 laser irradiated enamel and dentin, occlude the dentinal tubules and the enamel prisms. Conclusion: The rough pattern after Er:YAG laser irradiation, which originates from the micro-explosion of water, does not occlude the dentinal tubules, whereas the surface morphology after CO2 laser irradiation, which originated from the temperature rise above hydroxyapatite melting point, shows dentinal tubules occlusion and tissue melting. Clinical implications: These changes influence the tissue properties such as increase of the enamel acid resistance or decrease the bond strength between the tissue and composite resin. Purpose: The purpose of this study was to examine the morphological and compositional changes in human teeth following 9.6-μm CO2 laser use for cavity preparation. Materials and Methods: Thirty-six extracted human teeth were randomly divided into two groups: a CO2 laserirradiated group and a turbine group. The 9.6-μm CO2 laser was used to irradiate 29 teeth for 20 s at 20 mJ pulse energy with 200 pps and 4 W output under water spray. Cavities in the turbine group were prepared using a diamond bur on 7 teeth. The morphology of samples was observed by stereomicroscopy, light microscopy, scanning electron microscopy (SEM), transmission electron microscopy (TEM), or confocal laser scanning microscopy (CLSM). The calcium (Ca) and phosphorus (P) levels in each sample were measured by energy dispersive x-ray spectroscopy (SEM-EDX), and the results were analyzed statistically using the Mann-Whitney U-test. Results: The cavity walls of the laser-irradiated group were not clear but whitish and relatively smooth when observed under light microscopy, and had rough boundary lines and wavy surfaces when viewed with SEM. There was no damage immediately underneath the irradiated surfaces when viewed with TEM. Mineral analyses (Ca, P) showed no statistically significant difference in the composition of the enamel or dentin after using a bur, but significant differences in weight percentage of the P level were found after laser irradiation. Conclusion: It was demonstrated that 9.6-μm CO2 laser shows potential for clinical application in cavity preparation without harming surrounding dental hard tissues. 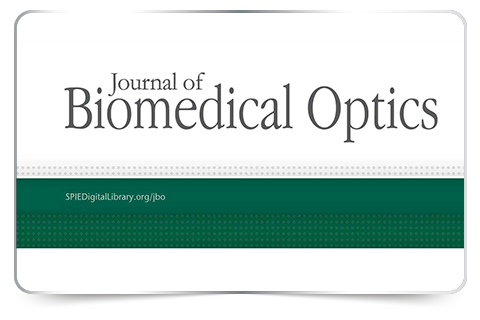 Abstract: The infl uence of 9.6  m CO 2 laser irradiation on enamel dissolution kinetics was investigated using a constant composition method designed for rate measurements of enamel dissolution as a function of depth, on a micrometer scale. In contrast to lower irradiation intensities ( ^ 1.0 J cm –2 ), which consistently showed reduced dissolution rates, higher fluences (energy per surface area) resulted in initially increased dissolution rates, which rapidly decreased, after dissolution times corresponding to removal of a few micrometers, to rates similar to those acquired using lower fluences. It was also demonstrated that surface damage during laser irradiation could be limited to the first 1–2  m by lowering the number of pulses per spot during the irradiation procedure. 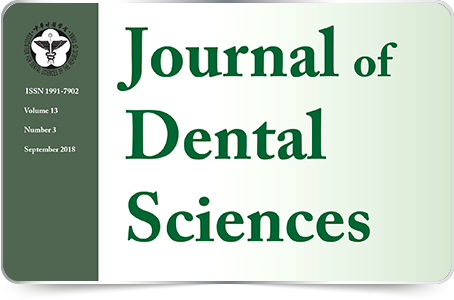 The constant composition method can be used to measure detailed kinetics of inhibition of acid dissolution of dental enamel that has been treated by low fluence 9.6-  m CO 2 laser irradiation. Background and Objectives: High caries prevalence in occlusal pits and fissures warrants novel prevention methods. An 86% reduction in dental enamel smooth surface demineralization in-vivo following short-pulsed 9.6 mm-CO2-laser irradiation was recently reported. The objective of this study was to conduct a blinded 12-monthpilot clinical trial of occlusal pit and fissure caries inhibition using the sameCO2-laser irradiation conditions. Study Design/Materials and Methods: Twenty subjects, average age 14 years, were recruited. At baseline, second molars were randomized into test and control groups, assessed by International Caries Detection & Assessment System (ICDAS-II), SOPROLIFE lightinduced fluorescence evaluator in daylight and bluefluorescence mode and DIAGNOdent. An independent investigator irradiated test molars with a CO2-laser, wavelength 9.6 mm, pulse-duration 20 ms, pulserepetition-rate 20 Hz, beam diameter 800 mm, average fluence 4.5  0.5 J/cm2, 20 laser pulses per spot. At 3-, 6- and 12-month recall teeth were assessed by ICDAS, SOPROLIFE and DIAGNOdent. All subjects received fluoride varnish applications at baseline and 6-month recall. 0.17, P ¼ 0.03). For SOPROLIFE blue-fluorescence evaluation mean changes in comparison to baseline for the control and the laser treated teeth were also statistically significant for the 6- and 12-month recall. Conclusion: Specific microsecond short-pulsed 9.6 mm CO2-laser irradiation markedly inhibits caries progression in pits and fissures in comparison to fluoride varnish alone over 12 months. Background and Objective: Both patients and dentists would like a replacement of the dental drill. During the last decade, lasers have been investigated as a possible replacement. For lasers to be accepted, studies must show that their effect on the dental pulpal tissues is equal to or less noxious than those effects caused by the dental handpiece (drill). 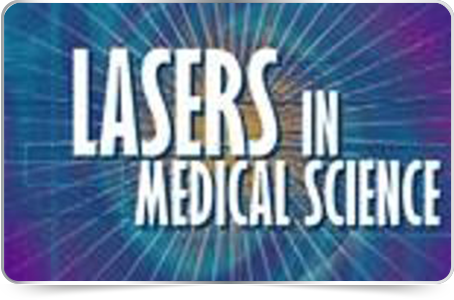 Study Design/Materials and Methods: In this study, two laser systems were used; the first was a breadboard CO2 laser and the second a prototype clinical CO2 laser system both emitted 60-ms-long pulses of 9.6-mm radiation. On the delivery system of both lasers, a scanner moved the focussed beam in a circular pattern and a water spray system served to cool the ablation site. Both lasers were used to create holes of similar dimensions in canine teeth. The treated teeth were then restored and harvested at either 4 days or 4 weeks. The teeth were decalcified, sectioned, and stained for examination via light microscopy. predentin layer, 28 days after laser treatment. While many histologic sections showed normal pulpal architecture following handpiece treatment, some sections showed total disruption of the normal pulpal histology. Conclusions: Histologic evaluation revealed that the lasers produced no noticeable damage to the dental pulpal tissue and appear to be a safe method for removing dental hard tissues. From this study, it appears that 9.6 mm CO2 laser does not cause damage to the dental pulpal tissues in dogs. Summary Objectives. The purpose of the present in vitro study was to determine whether there is a change in the chemical composition and surface morphology of enamel and dentin following 9.6m CO2 laser irradiation and high-speed drilling. Materials and methods. Ten permanent, non-carious, young premolars, extracted for orthodontic reasons, were selected. The crowns were separated longitudinally into two equal parts at their mesiodistal axis. Two areas on the inner enamel surface of each specimen and two on the dentinal surface were selected. A high-speed drill and 9.6m CO2 laser irradiation were applied to the selected enamel and dentinal areas. A random area on the unlased enamel and on the unlased dentin of each specimen served as controls. The morphology of the specimens was evaluated using scanning electron microscopy. Calcium, phosphorus and oxygen levels were measured using an energy dispersive spectrometer. Results. Mineral analysis revealed no significant difference in the mineral content of the enamel and dentin after laser irradiation or high speed drilling versus the control. Use of the high-speed drill on enamel and dentin resulted in very clear cavity margins, with characteristic grooves, whereas laser irradiation of enamel and dentin did not produce clear margins and the floor of the cavity displayed an irregular surface. Conclusions. 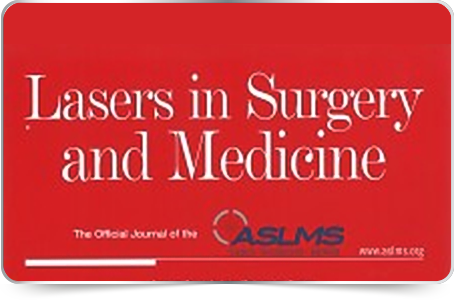 The 9.6m CO2 laser appears to be a promising tool in the clinical setting. However, further investigation is indicated to ensure maximum effectiveness. Background and Objectives: The superpulsed 9.6-mm CO2 laser is an effective laser for ablating dental tissues and decay. This histological study compares laser class V preparations with conventional treatment to evaluate the resulting formation at the cavity walls. Study Design/Materials and Methods: Four class V preparations (one made with a diamond drill and three with the CO2 laser (9.6 mm, 60 microseconds pulse width, 40 mJ pulse energy, 100 Hz, integrated scanner system, water cooling) were performed on ten extracted teeth. The cavities were filled with a composite resin partly including enamel and dentine conditioning. cavity filling without prior conditioning, gaps were noted at the cavosurface indicating a lack of adhesion. Dentinal bonding decreased gap formation significantly. Conclusion: The 9.6-mm CO2 laser is an effective tool for cavity preparation. Abstract. The aim of this study was to test the hypothesis that in a short-term clinical pilot trial short-pulsed 9.6 μm CO2-laser irradiation significantly inhibits demineralization in vivo. Twenty-four subjects scheduled for extraction of bicuspids for orthodontic reasons (age 14.9 ± 2.2 years) were recruited. Orthodontic brackets were placed on bicuspids (Transbond XT, 3M). An area next to the bracket was irradiated with a CO2-laser (Pulse System Inc, Los Alamos, New Mexico), wavelength 9.6 μm, pulse duration 20 μs, pulse repetition rate 20 Hz, beam diameter 1100 μm, average fluence 4.1 ± 0.3J/cm2, 20 laser pulses per spot. An adjacent nonirradiated area served as control. Bicuspids were extracted after four and twelve weeks, respectively, for a quantitative assessment of demineralization by cross-sectional microhardness testing. For the 4-week arm the mean relative mineral loss Z (vol%× μm) for the laser treated enamel was 402 ± 85 (mean ± SE), while the control showed significantly higher mineral loss (Z 738 ± 131; P = 0.04, t-test). The difference was even larger after twelve weeks (laser arm Z 135 ± 98; control 1067 ± 254; P = 0.002). The laser treatment produced 46% demineralization inhibition for the 4-week and a marked 87% inhibition for the 12-week arm. This study shows, for the first time in vivo, that the short-pulsed 9.6 μm CO2-laser irradiation successfully inhibits demineralization of tooth enamel in humans. All Rights Reserved. © 2018 DENTARAY Ltd.